Designed for extra comfort with triple pillow back cushions and a choice of real wood grab handles, this is a traditional, yet comfortable recliner range. Available in 4 sizes, Grande, Standard, Petite and Low Profile, with matching fixed settees. 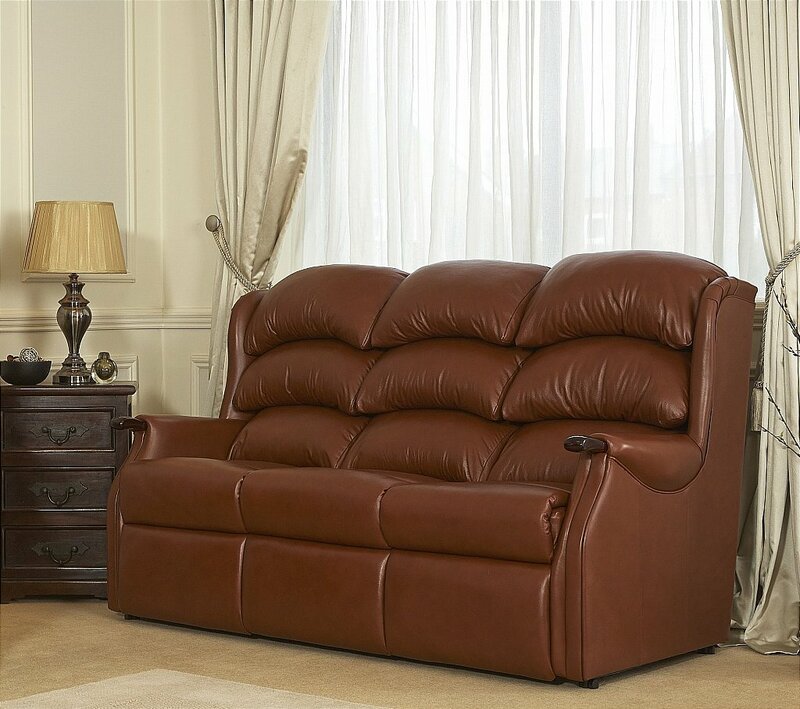 I would like more information about Westbury 3 Seater Leather Sofa by Celebrity.